From there The Doobies hit the road, tirelessly working their way around the world. They established themselves with a breathtaking run of hits on Warner Bros. Records that tapped into a myriad of American styles. 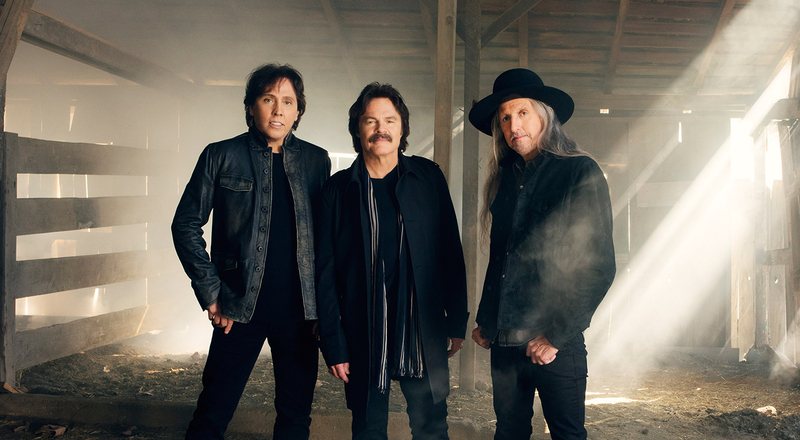 “Listen to the Music,” “Jesus is Just Alright,” “China Grove,” “Black Water,” “Rockin’ Down the Highway,” “Long Train Runnin’” and other anthemic singles confirmed their status as fine craftsman who could also rock arenas. After a respite in the early 80s, the band reunited in 1987 for a series of gigs benefiting veterans’ groups and children’s charities (ultimately raising millions). Those shows at the Hollywood Bowl were the fastest sell-outs since the Beatles had played there more than 20 years earlier. In a Los Angeles Times poll the year before, fans voted Led Zeppelin and The Doobie Brothers the bands they wanted most to see reunite. Continuing to record, The Doobies released World Gone Crazy in 2010, produced by Ted Templeman, and Southbound on Arista Nashville in 2014. Southbound, produced by David Huff, featured new recordings of the band’s iconic hits, with country music’s biggest stars including Blake Shelton, Zac Brown Band, Brad Paisley, and Toby Keith.